At Learning Circle Preschool, we want to make sure there’s a family presence in each classroom and that families feel welcome to participate in school life. We do it in a variety of ways. Having family photos in every classroom, available every day, helps assure that there are on-going conversations among the children about the people important in their lives. Looking at photos of family activities and trips also helps children become more aware of the many experiences we share, and of some of the ways in which we may be different. There’s nothing like a classroom visit to help a family member get a concrete sense of classroom life and what the school experience means to the children. It’s a lovely way to get a look into what school is like for each child. Some parents are curious about something a child’s teachers mentioned at a recent conference. Others enjoy sharing a favorite recipe on a day the class is cooking. Some like to help teachers support children, maybe by sitting with children and writing down their ideas as they dictate descriptions of drawings and stories to add to their writing journals. Some come to help take photos of classroom activities or projects. Many family members like to read with children, perhaps to help celebrate a child’s birthday, or for no special reason. Some family members just come to sit and watch for a while, or join the class outdoors. Some family members help us offer special events and experiences for the children that we wouldn’t be able to offer without them. Joining a class on a field trip, planting a tree or weeding the gardens, or helping out at our annual Food Day celebration are examples of some of the ways family members directly engage with the children and curriculum. We hope that family members will feel welcome to celebrate their family cultures with the school community as well. 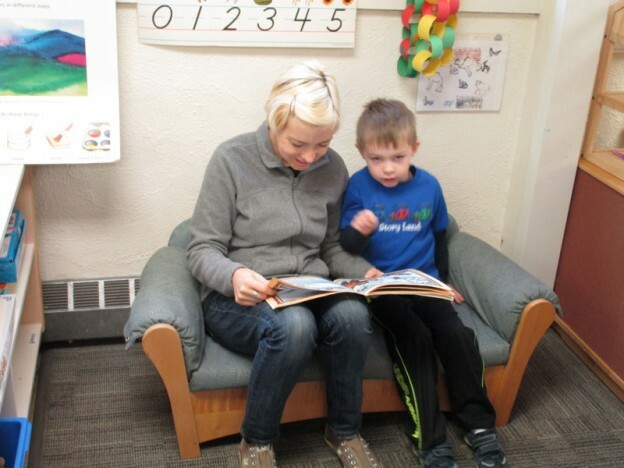 We’ve had family members come in to teach children a second language, or read bi-lingual books. Some family members have shared food, games, or other traditions with the children. Others have sent children postcards from places they have traveled or where extended family lives. Some share skills and work experiences. Every year the mix is different, and we celebrate each contribution to our program with the children. It’s also great to look forward to our annual family events, when children and parents spend time together. Some of these times are entirely social, like our farm days at Pakeen Farm in the fall, or our annual multicultural Family Luncheon each spring. Some have an educational component, like our open door days when we encourage family members to play with their children in the classrooms to learn about how children learn and why we do what we do. Some events celebrate the season, like our annual Family Dance right before the winter holiday break. Some are as informal as our beginning year playdates when families and children get to know each other on the playground or when families invite each other to meet and play after school at Houghton’s Pond. Children feel validated and that their school life is important when their families participate. Children feel connected and valued when it’s clear that important people at school value their home lives and experiences. Children feel safe and trust the school environment when they see and feel their family member’s trust. Every year our efforts look a little different, but we hope to help build a community that connects grownups and children alike! This entry was posted in Curriculum, Education, Philosophy and tagged children, curriculum, education, kindergarten, learning, preschool on December 30, 2015 by Katrina Selawsky.